With the holiday season in full effect, Jingle Balls was playing today at Trader Joe’s…, I thought it was timely to write a little about intentions. I still remember the first time a teacher said that. In my head it was like tires screeching to a halt, a what?? I intend to get better at yoga? I intend to not fall on my face? I intend to drink a green juice every morning? I intend to bolt out of here the second we say namaste to get to my car before the parking cop does? Obviously I was new to intention setting. Even as I practiced and studied yoga most of my intention themes were relatively self-centered and dealt more with my physical practice or breath. My intentions in the beginning were always helpful though and I was usually able to push my refresh button by the end of my practice. But a few years back I read how another teacher thinks about setting intentions. Instead of picking something specific at the beginning of class he suggested spending a few moments and breaths reflecting on each of these three powerful categories: gratitude, forgiveness, and guidance. 1. Gratitude: No matter what we’re experiencing we all have something to be grateful for in our lives, maybe it’s The Green Yogi🙂 These can be things that bring us joy, make life simpler, or even challenges that strengthen us. 2. Forgiveness: No one is perfect. We’ve all screwed up and so has everyone else, sometimes it’s intentional and sometimes it isn’t. I like to think about what I’d like to be forgiven for as well as send my forgiveness toward people that have messed up. It’s not easy, but this is how I try to let go, holding on to negativity is toxic. 3. Guidance: It’s impossible to go it alone, we all need help. By reflecting on guidance we are allowing ourselves to surrender (this is so hard!) and seek the help we really need. 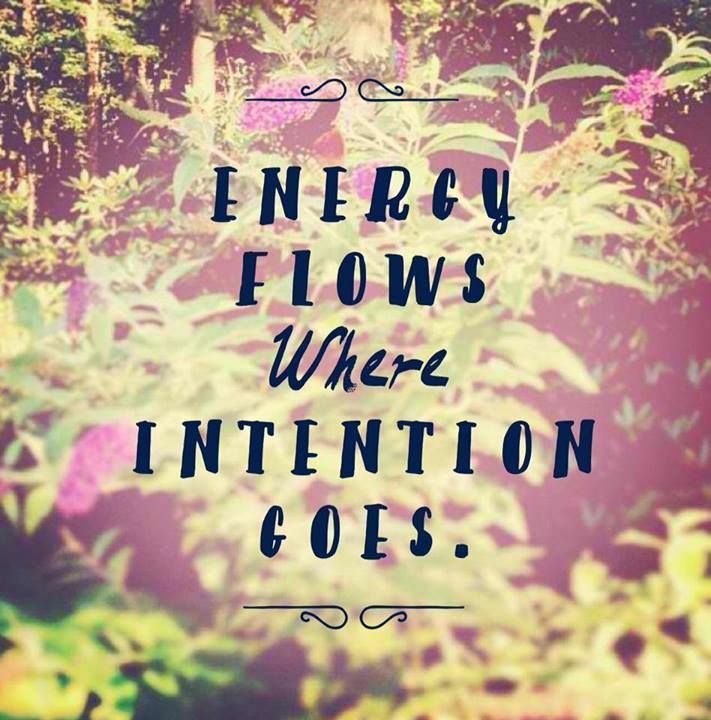 So if you’re looking to shake up your intentions try out themes, others work well too! Peace, love, integrity, strength, balance, discipline, etc. you can find a more detailed list here if you’re interested. All themes are effective on their own or as jumping off points. And during the times you feel the need for one theme over another, it’s your practice you get to do whatever you want that’s why yoga is awesome! But usually, as I make my green juice in the mornings, my 3 provide me with the balance and strength to navigate my days.